Hey, Joe here - area resident, professional arborist, and owner of the top rated Albany tree service. In the last 29 years, our team of local arborists have performed thousands of hours of tree care across both Albany and Saratoga county. We offer tree removal as well. You could say that decades of experience and a lot of repetition has allowed us to perfect our craft and deliver an outstanding quality service that we stand by, and we have more testimonials than we can count to prove it. We are committed to bringing you the best possible tree service at a reasonable price, guaranteed. Whether you want to maintain your home’s appearance or make the neighbors jealous, you’ve come to the right place. Proper aesthetics and landscaping can work wonders for your yard in terms of visual appeal. And, nothing ruins the look of a property like unruly trees and greenery. Do you have a tree that’s taking up too much space on your lawn? Maybe it’s blocking sunlight to your pool, or growing a little too close to your home or the power lines for comfort. Or, maybe a storm knocked down some branches in your yard. ​Whatever the case may be, you’re better off taking care of it sooner rather than later because the potential problems you’ll face down the road can be a huge investment if nothing is done. You simply want well-maintained trees again. That might mean pruning, trimming, or removing it completely. ​The great thing is that once you have a beautiful landscape at your residence, your property value increases. We’ve seen it happen over and over through the years. ​We’re not saying to go list your beautiful home on the market, but if you ever want to, you would absolutely get more money for your home after we're finished. We do commercial tree removal in Albany, NY as well! We've cleared land on behalf of numerous construction companies to make room for school dorms, apartment buildings, solar panel arrays, and even roads. Our most recent project was land clearing for SUNY Albany. They requested to have a few hundred trees removed to make room for a new education building. We're happy to partner with any contractor that needs our expertise. Although it's taken me years to find them, I truly believe that my team is the best group of tree surgeons in the state. 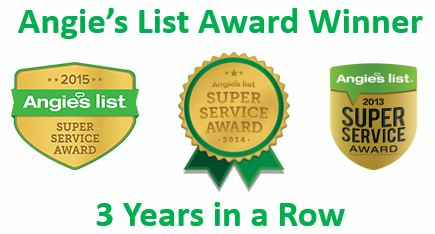 If you've ever looked at Angie's List or Home Advisor, you've probably seen us. We’re friendly, fast, and deliver the results you'd expect from a team of perfectionists. ​Our certified arborists are great people to work with. They’re easy going, attentive to detail, they have the knowledge and skills to deliver whatever service you need, and they're conveniently located near you. If there’s something we can do to improve our service, let us know! Call me, Joe, on my personal cell phone at (518) 221-0773 any time. ​An in person meeting with a free quote AND a 10% discount on the job, when you hire us. ​If it’s late at night, or you would rather email us, fill out the quick form below and we’ll get back to you promptly. ​We have serviced the Capital Region since 1988 and believe in leaving the area better than we found it. Whether it’s a pruning, trimming, or removal, this team is ready for you – residential or commercial. What’s your complete list of services? We do tree removal, shrub and stump removal, landscaping, tree trimming & pruning, land clearing, replanting, and disease treatment. We're located in Albany, New York, so we serve all of Albany County, Saratoga County, and the entire Capital Region. We've provided professional tree care services in Loudonville, Latham, Watervliet, Waterford, Cohoes, Troy, Schenectady, Niskayuna, Clifton Park, Saratoga, and many other local cities. When in doubt, contact us because we probably serve your area! ​What kinds of trees can you handle? We do it all: elm trees, birch, maple, oak, evergreen, pine, and many more. If we’re trimming, pruning, or treating the trees, our goal is to ensure a long healthy life, so we’ll be extra careful. If we’re cutting them down, we’ll do it safely and clean everything up when we’re done. Our goal is to make your property look perfect. What size project can you handle? The great thing about our team is that we have the manpower to take on any size job, no matter how big or small. We’ve worked on everything from small residential properties to golf courses, commercial properties, and government land. You can call us for a tiny tree in your yard or a 30-acre plot of land that needs to be cleared and demolished. Either way, we’re going to make sure your home or business looks great by the time we’re done. How do you do the job? One of our pros will swing by your location when it’s convenient for you, take a look at what’s going on, and provide you with a free quote. We maintain a large fleet of trucks, cranes, and state of the art equipment, so we take each job on a case by case basis and recommend how to best approach it. Our goal is to get the job done quickly and safely, while minimizing the impact it has on you, your land, and your wallet. If you have a specific request or concern, please let us know and we’ll be happy to help. The cost of our tree services depends on the type and size of the job. Give us a call today at (518) 221-0773 and we’ll be happy to stop over for a free estimate with no obligation. There’s no pressure and we’ll never increase the price on you afterwards - that's a promise. Don’t forget to mention that you learned about our team through our website and you’ll receive a 10% discount on the whole project! What assurance can you give us? Our company is licensed and insured. We are proud to offer high quality work at a reasonable price. When we stop over for your free estimate, we’ll take a moment to mention our warranty. We are the top company in the area, with a high trained staff of tree surgeons who love what they do and work hard to ensure every single client is 100% satisfied with the service they receive. We stand by our work and we welcome the opportunity to prove it to you. We’ve worked hard to maintain a flawless reputation and we’re planning to keep our perfect streak going. Contact me on my cell (518) 221-0773. Say you found me through my website for a free estimate and a 10% discount. If you prefer to email us, just fill out the form on the top of the page. Talk to you soon!